Greetings! Today as you step into the week 22 of your pregnancy, the month count has gone up and you have entered into your sixth month. You have come a long way in this journey and the days when you were reading about how to get pregnant are a distant memory. By the end of the ninth month, you will hold your little one in your arms. Your baby also has done some serious growing up and has finally crossed the one pound mark. At 22 weeks pregnant, you baby is now as big as papaya and from head to toe measures around 11 inches and weighs approximately 450-500 grams. If you were to look through your belly at this stage, this is how your baby would look like. The face is fully formed and eyes, nose and mouth are well developed. 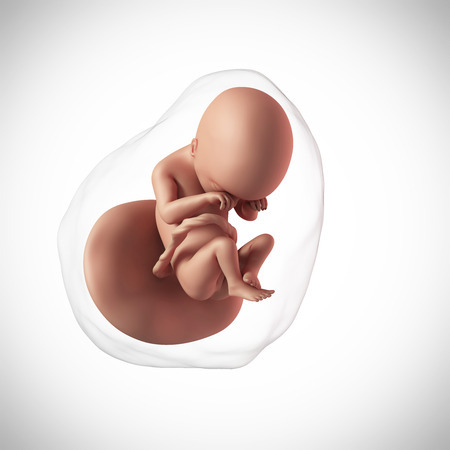 The sensory organs have begun functioning and the baby can now react to light and loud sounds. The eyebrows and eyelashes are beginning to form this week. The head also has small little hair. At this stage, there is no pigmentation in the hair and it is all white. Do not worry as the color is all set to arrive in the coming weeks. 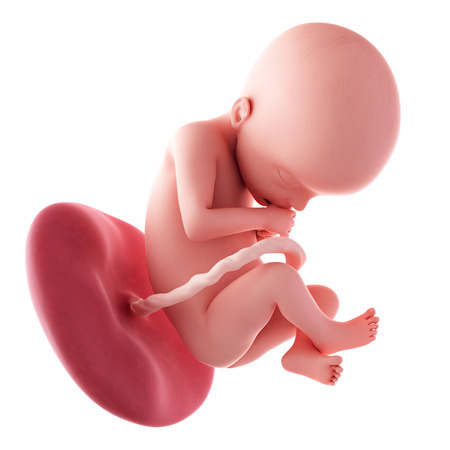 The skin of your baby at 22 weeks pregnant, now looks reddish white as layers of subcutaneous fat have begun to form. The body is covered with vernix caseosa which will shed only a few weeks before birth. The major internal organs like the liver and pancreas are maturing and the liver now begins to form enzymes that are required to break down the bilirubin, which is formed when RBCs break down. The pancreas is beginning to form hormones which will regulate the glucose metabolism in the body. Another major development that begins this week and continues till you are 34 weeks pregnant is the brain folds. The smooth surface of the brain is now developing folds, gradually giving it a walnut seed like look. These folds are called sulcus (sulci) and gyrus (gyri) and due to this, an increased surface area is created for the developing brain cells. You are steadily gaining weight and your uterus which was as small as your fist when you were 6 weeks pregnant has now reached an inch above the belly button and will continue to grow upwards in the weeks to come. Your belly already may have stretch marks, these occur due to over stretching of the skin. At times you may notice itching of the skin around the belly or breasts. Using a moisturizer or cocoa butter cream may help. But unlike these creams claim, stretch marks cannot disappear. They may only lessen in intensity and become silverish and merge with the surrounding skin. Another change that you will notice is the swelling on your feet, which occurs due to oedema. Also the hormone relaxin leads to loosening up of the joints and ligaments of the foot leading to increase in the foot size. You may end up buying one size bigger shoes these days. On days that you over exert, you may feel a tight squeezing sensation in the lower abdomen. These are Braxton hicks contractions of the uterus. They are harmless and it’s the uterus practicing for the big day. However if the frequency and intensity increase, you should rush to your doctor. You will notice these contractions more often by the time you are 36 weeks pregnant. The symptoms this week are more or less similar to the ones last week. The early pregnancy symptoms are gone and a very small percentage of pregnant women will continue to have nausea in their second trimester. You may be looking bigger or smaller than expected. A very accurate way of judging how far you have come is by using the due date calculator which will tell you the exact number of weeks you have crossed. You may experience the following symptoms this week. There are minor changes which occur in the ultrasound of pregnancy week by week. The anatomy scan or morphology scan is normally done when you are 20 weeks pregnant. If not then it will be done this week. 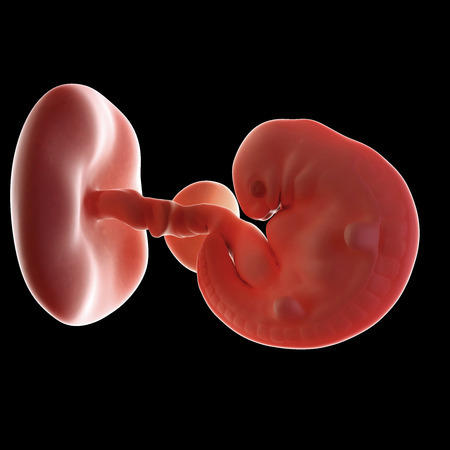 The reason why the number of weeks for this scan is fixed is that beyond this age the fetus starts growing bigger and it becomes difficult to assess all the growth parameters accurately. 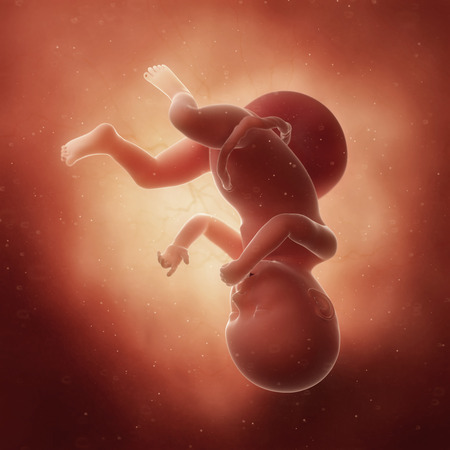 The 22 weeks pregnant scan will show the baby moving actively in the amniotic fluid and the heartbeat will be seen as a flickering image on the screen. In case of a twin pregnancy, both the babies will be scanned for the same parameters to assess equal growth. It is seen at times that one baby is growing at a faster rate than the others. The placenta, cervix and blood flow will also be checked at every visit. As your pregnant belly grows bigger by the day, invest in loose fitting and comfortable clothes so as to feel your best. 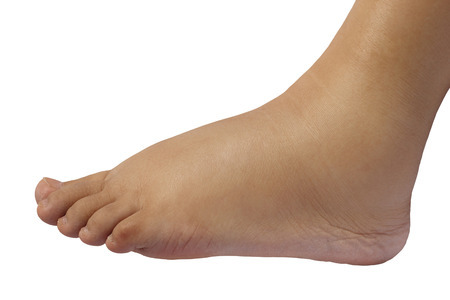 Your swollen feet may give you pain and discomfort while walking. So it is advisable to buy one size bigger shoes which are flat and support the entire foot well. This is the right time to begin pelvic floor exercises (Kegel’s exercises) which will help to strengthen the pelvic muscles and prepare them for labor and also help you to recover faster after delivery. You will start feeling your baby move when you are 14 weeks pregnant or latest by 18 weeks pregnant. Now is the right time to start keeping a check on the number of fetal movements per day. Drink sufficient water to avoid constipation. Always keep your feet elevated while sitting as hanging the legs down will increase the pedal oedema due to gravity. Avoid taking outside food or foods with preservatives, processed foods etc during pregnancy. Take all your prenatal vitamins regularly.